Our skilled massage therapists help you to relax and refresh yourself. The massage facilities are open Mon-Fri, 9.00-20.00 and Sat 9.00- 16.00. Prices are inclusive of VAT. Basic treatment to release tension and reduce pain. Effective choice for busy workers or just a short moment for enjoying yourself. 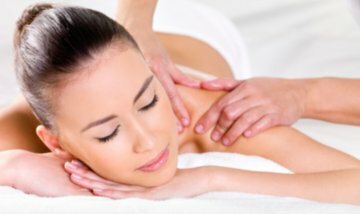 A half-hour appointment allows time for a partial massage session, such as neck and shoulders, back or legs and feet. Spend lingering, leisured moment with treatment of all parts of your body muscles. 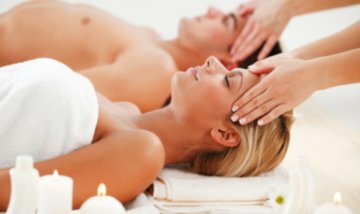 Full Body Massage offers a very relaxing experience and it suits well for to give an indulgence time for yourself. Hot stone massage provides a wonderfully pampering, deeply relaxing and energizing experience. Soft and gentle massage with heated stones and scented essential oils is a holistic therapy that has a relaxing, balancing and energizing effect on the body and mind. Warm parafango clay makes your muscles warm and easier to massage.